Crossrail moves forward with major train and depot contract - Crossrail . For information about the Elizabeth line please visit the Transport for London website. To deliver Crossrail services to the 37 stations along the route, around 60 new trains will be required, bringing an additional 1.5 million people within a 45 minute commute of London’s key business and leisure districts. Each train will be will be around 200 metres in length and able to carry up to 1,500 passengers. Rob Holden, Crossrail Chief Executive, said: “With construction gathering pace it is now time to focus on the trains that will deliver the Crossrail service and transform the experience of commuters and rail users. 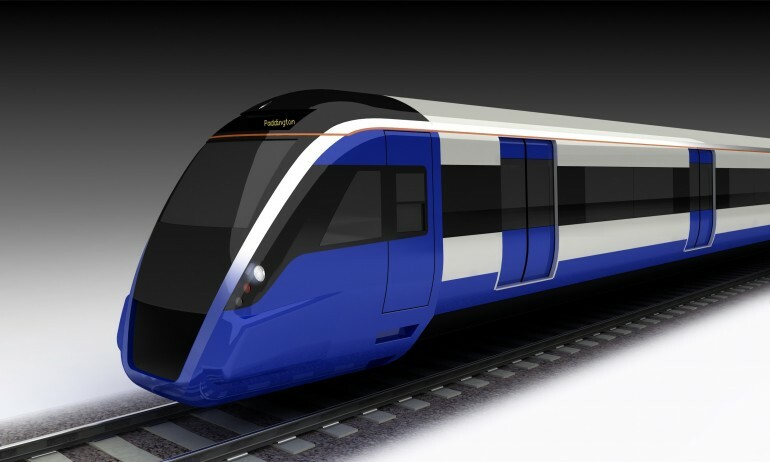 To ensure value for money, Crossrail’s intention is that the new trains are based upon technology already developed by the worldwide rolling stock market for deployment on other railways. A revolutionary new train design is not required. It is envisaged that new Crossrail rolling stock and depot facilities will be funded by private finance. Arrangement of finance will be required as part of supplier bids. The costs associated with the rolling stock and depot contract are planned to form part of the future cost of operation of Crossrail services. The intention is for the operation of Crossrail services to be let as a concession by TfL London Rail, similar to the concession let by Transport for London for the London Overground. Once complete, Crossrail will be the largest addition to the transport network in London and the South East for 50 years and will help an extra 1.5 million people to access London’s major employment centres. Private finance sufficient to design, build and maintain the rolling stock and depot facilities. Crossrail published a Periodic Information Notice in the Official Journal of the European Union on 3 August 2010 advising of its intention to commence the procurement process for the supply of rolling stock and depot facilities in late 2010. Crossrail will run 118 km from Maidenhead and Heathrow in the west, through new twin-bore 21 km tunnels under central London to Shenfield and Abbey Wood in the east. It will bring an additional 1.5 million people within 45 minutes commuting distance of London's key business districts. Crossrail will deliver substantial economic benefits for all of London and the South East. Latest economic forecasts suggest that Crossrail will add £42bn to the economy, resulting in a £17bn tax boost for the Treasury. Previous estimates were that Crossrail would deliver up to a £36bn boost to the UK economy. Up to 14,000 people will be employed at the peak of construction in 2013/2015, with an estimated further 7000 jobs created indirectly.